Media Suite 15 is our biggest update in years, and has something for everyone. Whether you need the right tools to get started on a creative project, or are looking for a comprehensive all-in-one digital media suite for your family, CyberLink Media Suite has you covered. 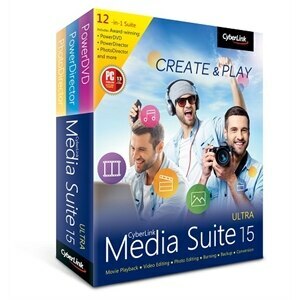 With 12 multi-award winning products packed into one killer software suite, Media Suite 15 truly is the most complete, value-for-money collection of multimedia software available today.